The Pashley Guvnor bicycle has been in worldwide circulation with great success since 2008. Although the original specifications have reflected proven performance, more and more Guvnor owners are making alterations to their machines. The Guvnor component that has come under most scrutiny of late has been the Sugino XD-2 crank setup that comes fitted as standard on all single speed and three speed machines. Standard Guvnor Sugino XD-2 crank set with chain guard. 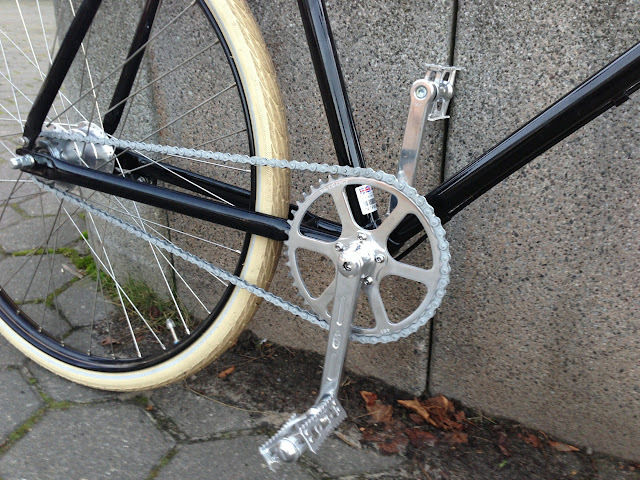 ﻿The original setup is somewhat unusual in that the crank arms accommodate a 42T chain ring and a chain guard. The spirit of the bike is such that riders are encouraged to ride fully clothed and hence the chain guard protects long pants from being caught between the chain and chain ring. 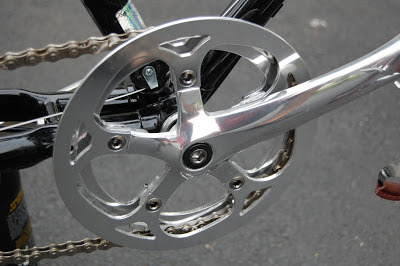 The setup is unusual because Pashley have used a wider than recommended bottom bracket (113mm) in an attempt to allow for ample spacing between the chain ring and guard, and probably also to widen the Q factor for ride comfort (pedal width). As a result they have used chain ring spacers to push the chain ring further in board, I guess to improve the chain line. 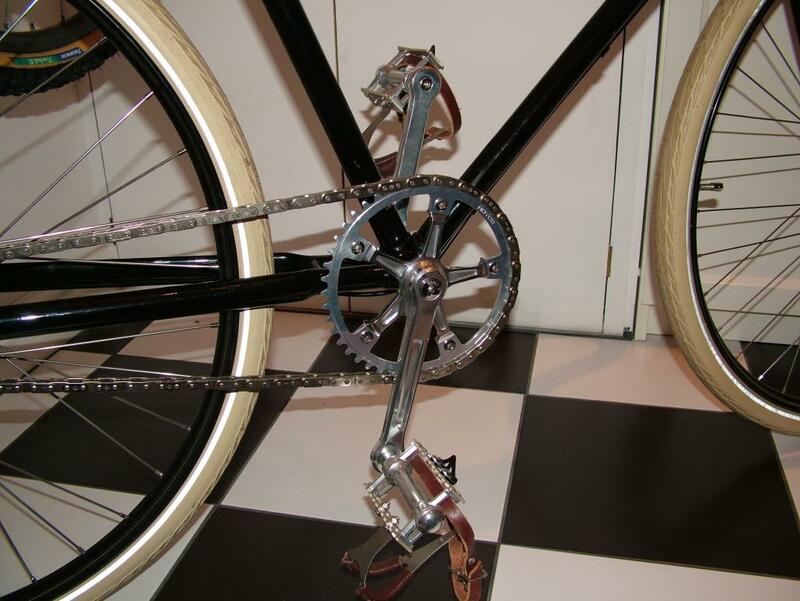 Although this configuration works it is somewhat unclean looking, and it is this reason that Guvnor owners have been changing the crank configurations on their machines. Below is an image of a machine where the owner has fitted the Sugino recommended bottom bracket (103mm) for the XD-2 crank, removed the chain guard, and fitted the chainring on the outside of the crank arms – no ugly spacers needed here! 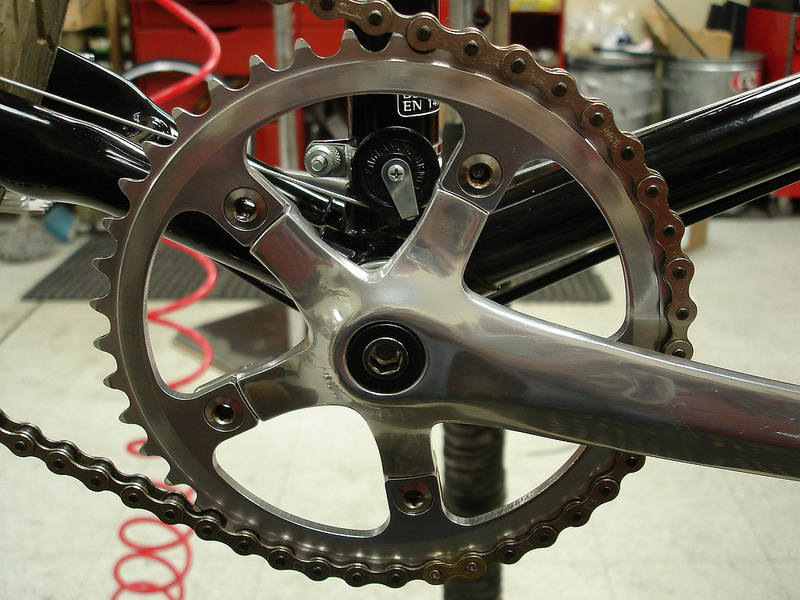 This configuration is how Sugino intended the XD-2 cranks to be fitted. 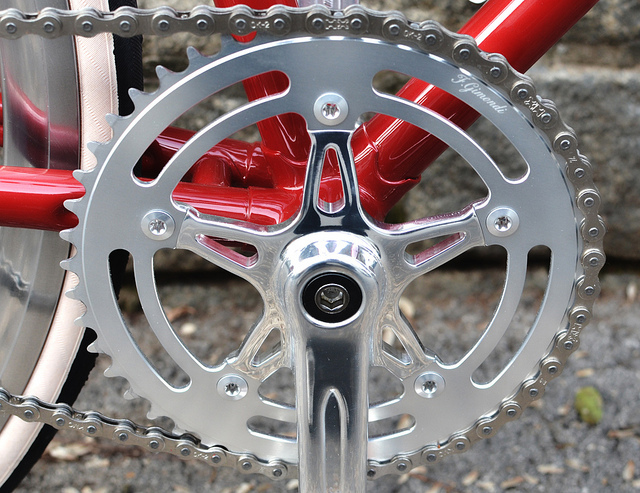 As you can see the configuration looks neat, efficient, and clean (just how Sugino intended I’m sure). Modified Sugino crank set without chain guard - as Sugino intended. 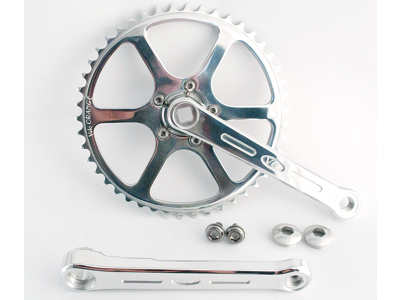 Other owners have fitted different crank sets, and there are some exceptional modern alternatives. My favourite crank sets are modern copies of the old Campagnolo Super Record fluted pista cranks that were manufactured between the mid 1960’s to the early 1980’s - pictured below. Gipiemme also made similar versions. 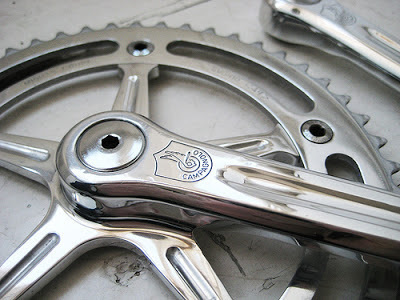 Campagnolo pista cranks circa 1960's - stunningly beautiful by design. ﻿ It’s a classic timeless design that has a real retro look and feel. Original Campagnolo cranks of this style are very expensive and have to be fitted with the correctly tapered Campy brand bottom bracket, so generally they can’t be fitted to any bike. Pictured below are some remakes that are available. The beauty is that these versions can be fitted to standard square tapered bottom brackets…too easy! Royce crank set - on the bike. Andel crank set - very affordable. 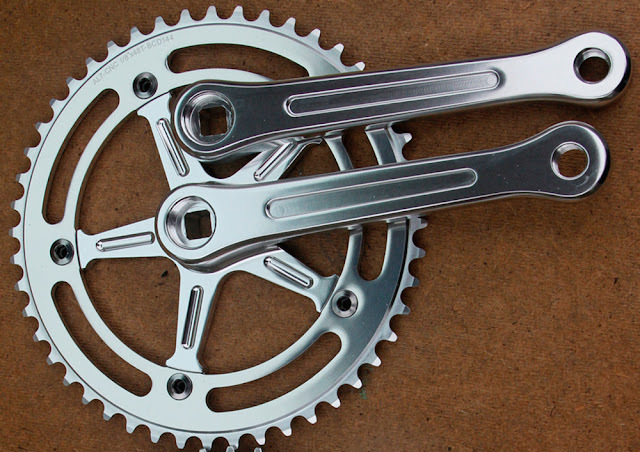 They are all of similar price and quality, and at a guess, the GB and Andel cranks were probably manufactured at the same factory in Taiwan somewhere. Full Speed Ahead also make a vintage crank set called the Gimondi, again a beautifully retro styled crank set well worthy of any Guvnor. They were named in honour of Felice Gimondi, a famous Italian road cyclist from the late 1960's. 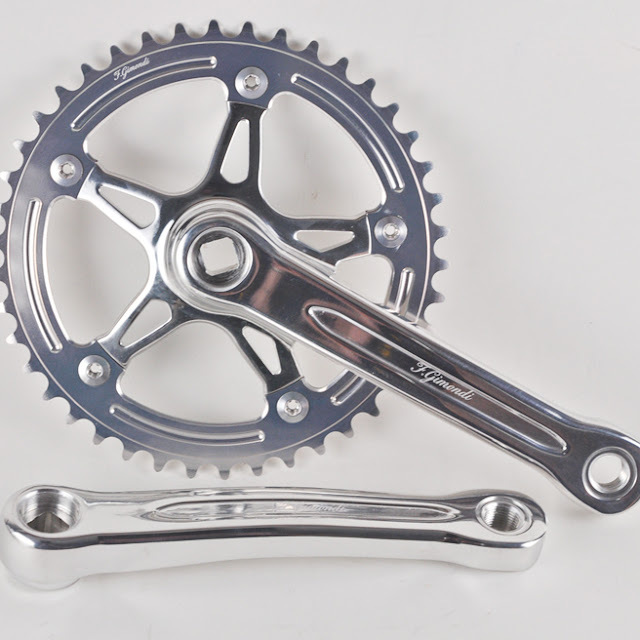 These cranks are particularly nice and well priced too! Gimondi - off the bike. Gimondi - on the bike. 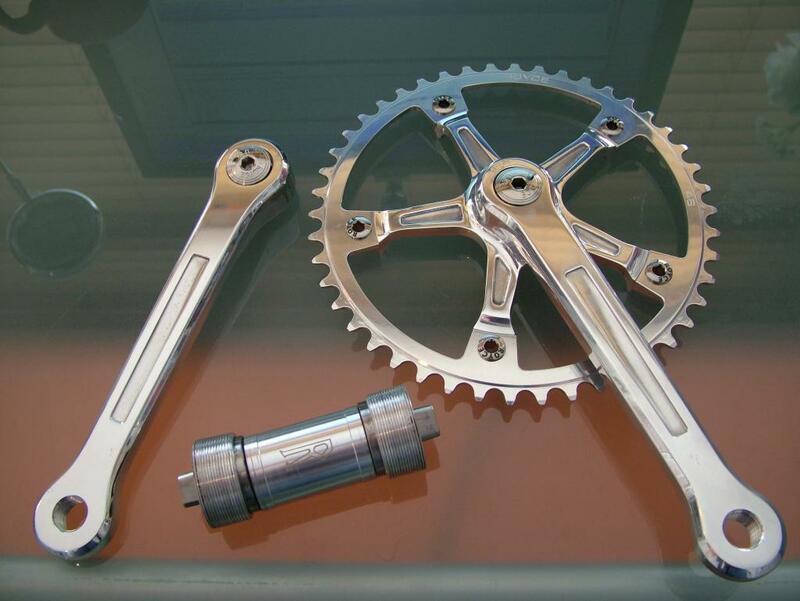 Another worthy participant of note is the "Velo Orange" Grand Cru 50.4 BCD crank set, a beautiful vintage crank set that replicates crank designs from 1930's. Here's one fitted to a Guvnor below....a beautifully made crank set well worth considering. VO Grand Cru 50.4 BCD - off the bike. VO Grand Cru 50.4 BCD - on the bike. So if you're in the market for a new crank set on your Guvnor, or for any other retro or vintage ride for that matter, I do hope I've provided I little bit of information that may assist you in your endeavours. 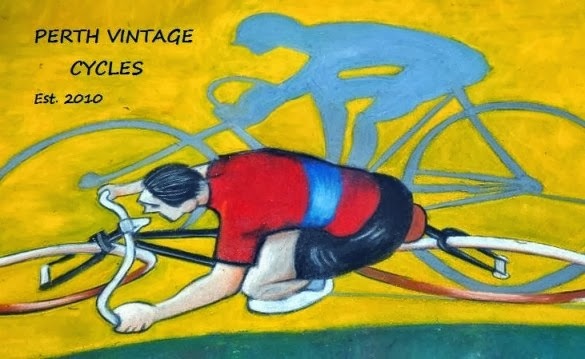 Thanks to some of the members at http://www.theguvnorsassembly.com/ for allowing me to use some of their images. The Guvnors Assembly is a great site for those interested in the humble Guvnor.